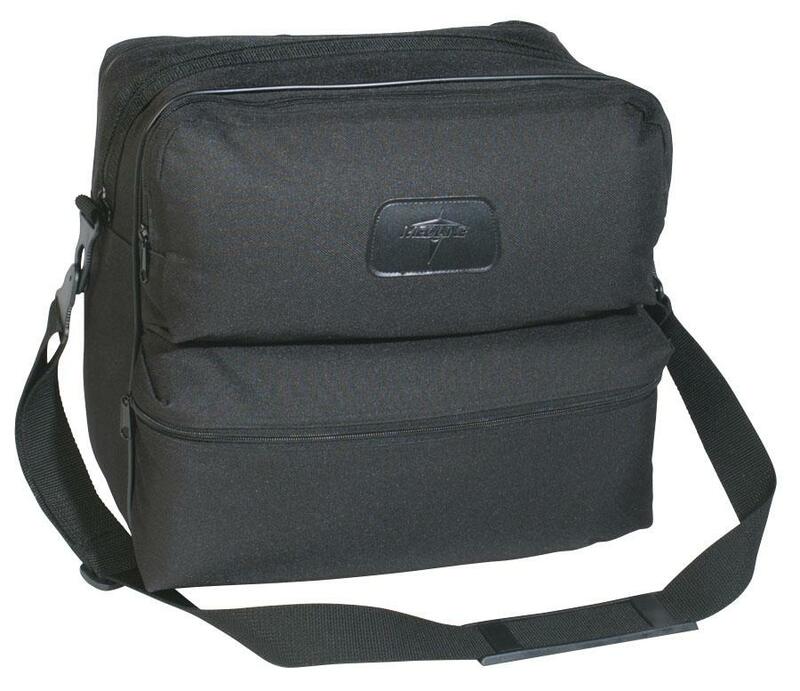 Black polyester bag features two front zippered pockets, one back zippered pocket and the main storage area. Vinyl-lined interior help make it fluid resistant. Includes a detachable strap with rubber shoulder cushion for added comfort. Approximate dimensions: 13" x 12" x 7"